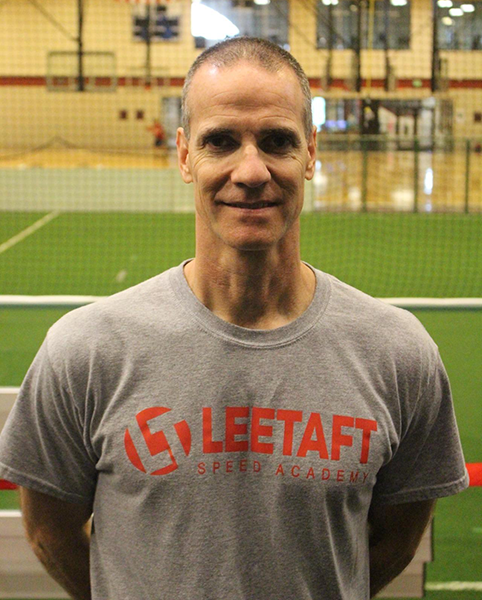 Lee Taft, known to most simple as “The Speed Guy”, is highly respected as one of the top athletic movement specialist in the world. The last 30 years he has devoted the majority of his time training multi-directional speed to all ages and ability. He has spent much of this time teaching his multi-directional speed methods to top performance coaches and fitness professionals all over the world. Lee has also dedicated countless hours mentoring up and coming sports performance trainers, many who have gone into the profession and made a big impact themselves. Lee has been asked to speak at numerous strength and conditioning and sports performance events across the world and has produced numerous instructional videos and courses in the area of multi-directional speed and movement training. In addition, Lee has written several eBooks specifically on movement techniques and speed development. Lee and his wife Jenn have 3 children, Jae, Bailee and Brennen and currently reside in Indiana. Lee has had the opportunity to coach, train, and speak to numerous notable people and organizations throughout his career. The tabs below show a highlight of his involvement through various engagements in different ways. The SI Academy is a 6-month curriculum. The day you sign up is the day you begin your first module. Every week you will receive a new topic. Each week you will receive a video detailing the new module information. You will also receive a training sheet with the purpose of highlight the important points of the module and document vital information. By the time your 6-months course is completed you will have a strong foundation in multi-directional speed training, including coaching and managing teams.